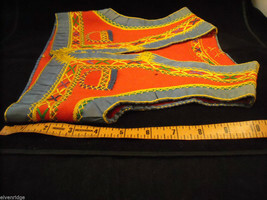 This is a listing for a Vintage Hand Embroidered Children's Vest. 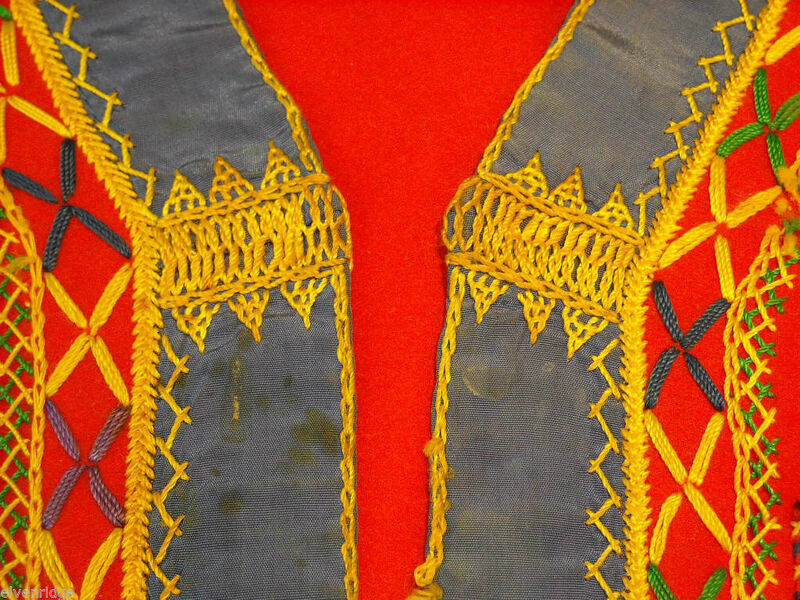 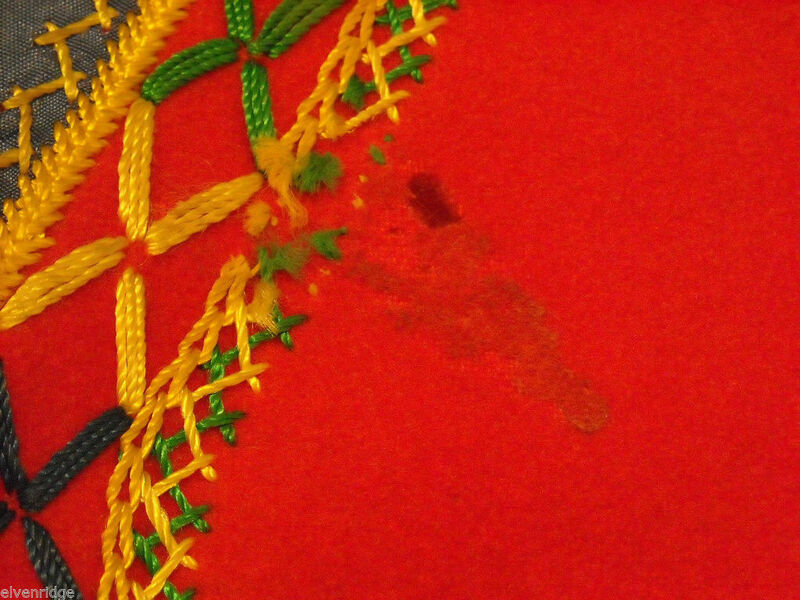 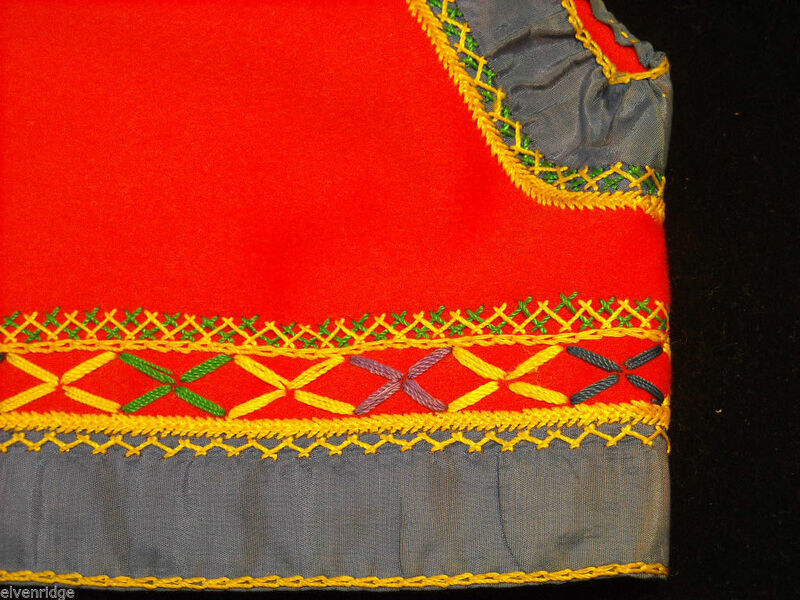 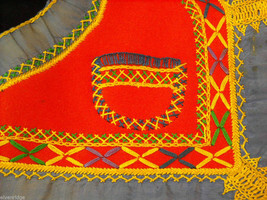 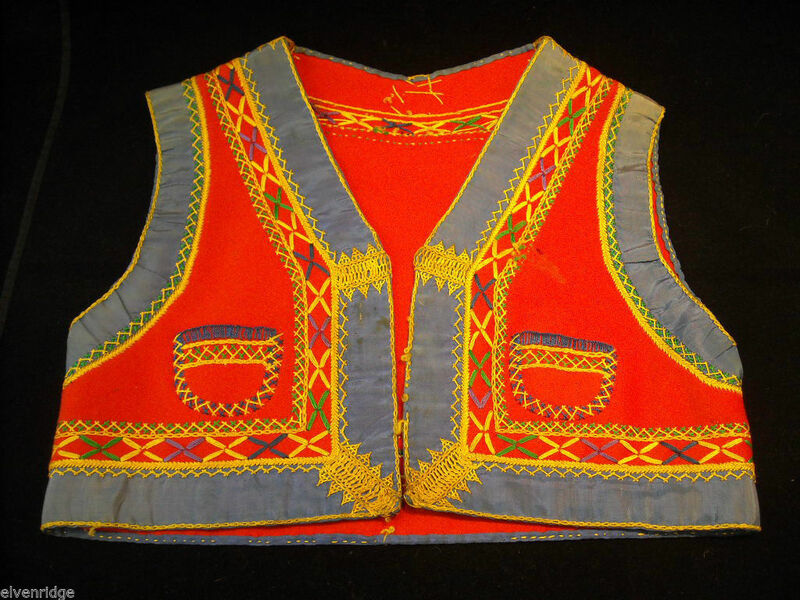 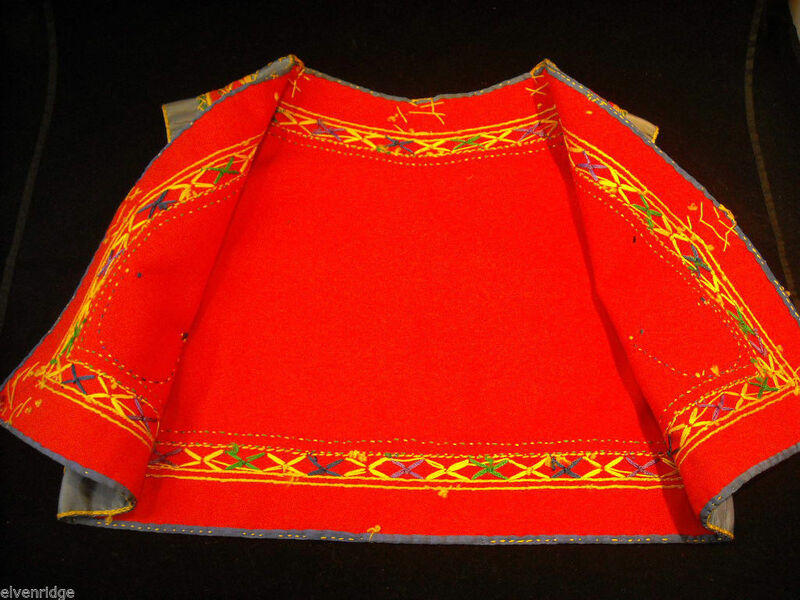 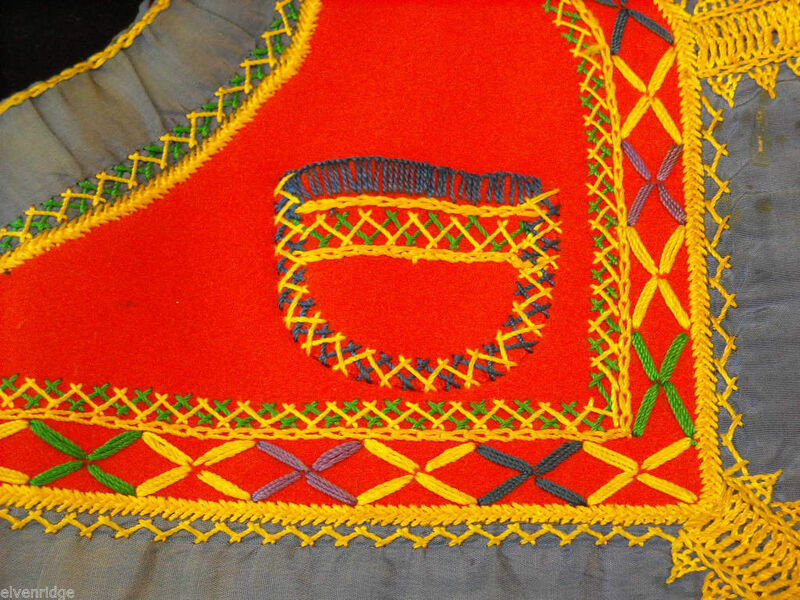 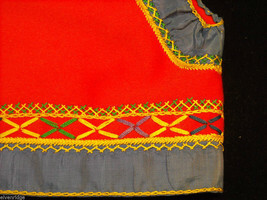 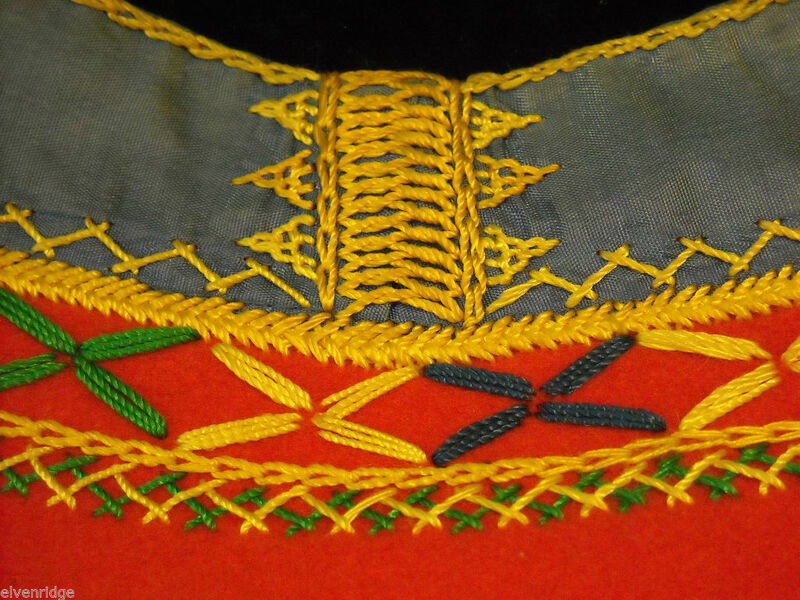 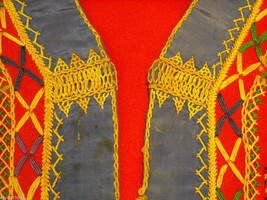 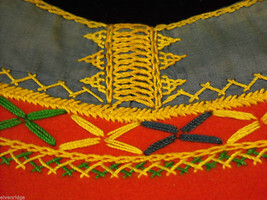 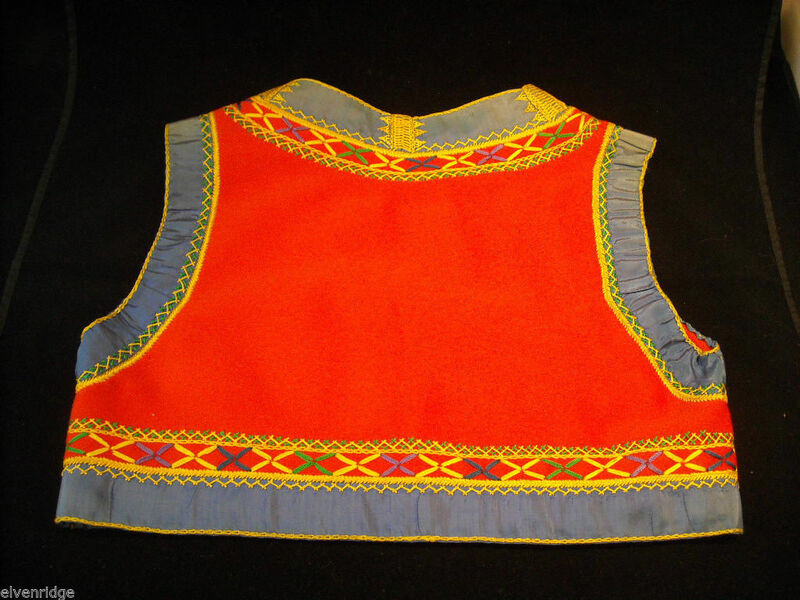 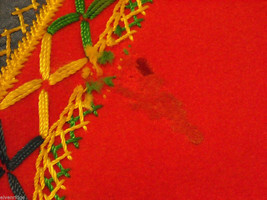 It has a bright red and blue satiny trim and multicolored bright embroidery. It is completely Unique!